4More Space offers pre-owned buildings which are refurbished in a controlled environment with rigorous quality control checks throughout each stage of the process ensuring customer satisfaction remains our main priority. Rest assured, our utmost commitment to providing excellent quality refurbished modular and portable buildings, gives you the end user a cost effective alternative to new builds. Reduce your costs by purchasing a used Modular or Portable building! With the ever difficult economy we are able to offer financial and environmental savings, giving you a highly cost-effective, yet a quality alternative to buying new. Significant financial savings with environmental advantages, our used modular buildings are a quality alternative to new build accommodation. A refurbished modular building not only saves vastly on carbon emissions, but also reduces unwanted landfill disposal, providing an exceptionally sustainable form of relocatable accommodation. These environmental considerations are increasingly sought after by Local Councils and Planning Authorities, often aiding the building planning process with their sustainable credentials. Used modular buildings in particular are recognised by the UK Government as being extremely environmentally friendly compared with an equivalent new manufactured building. 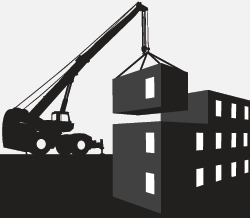 When a used modular building is relocated with minimal alterations, then the amount of energy used is approximately 3% of the energy that is required to manufacture a new equivalent modular building. The reason for this is that the embodied energy contained within a modular building is transportable and is locked within the fabric of the building. We have a number of high quality used buildings in a wide range of sizes and configurations. We’re always adding used portable buildings to our stock. If you can’t find something to suit your needs, contact us as our stock is changing daily. If you’ve got an existing modular or portable building that you’re looking to sell, let us know!